Time impact analysis is usually performed by a project scheduler and can be used on the vast majority of construction projects. This method involves the insertion or addition of activities indicating delays or changes in a schedule representing progress up to the point when a delay event occurred. That allows for an assessment of the impact of those activities. A time impact analysis will be applied to forecast the construction process and analyze what is going on and what the outcome will be. It requires a critical path method schedule (CPM schedule) that is able to show the differences between a schedule that does not include a delay and one that does include an activity modeling a delay. A time impact analysis is required to calculate with a standard method the results of the actual project delay. The analysis is not the project reality simulation, it is intended to understand the time impact caused by a single event or series of events, and how they will impact the project schedule. It is a useful tool for projects that are currently ongoing and will present a real-time idea of how the contract adjustment is required. The final result of the time impact analysis must be presented shortly after completion to the contractor; otherwise, he might present an additional time extension claim of constructive acceleration. It is the best technique for determining the amount of extension of time that the contractor should have been granted at the time that an excusable risk occurred. When the contractor has not been able to provide remediation instructions and it is not able to redeploy his workforce. If there are actual delays in events that are undergoing construction activities. When delays are already being expected due to external or internal circumstances. If there is a need to model delays in short or simple construction activities. If delays are longer than usual, additional methods and tools must be used in conjunction with the TIA. Your actual project schedules have not been updated. TIA will not present a real outcome when data input on the analysis has not been updated with real data from the construction activities. Work plans based upon resource considerations could be easily adjusted without creating a detriment to the project completion. Mitigation work has already been started. If the constructions schedule has been altered, the less effective the modeling of the delay will be. 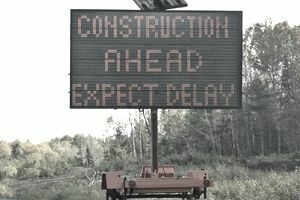 The delay should be described as simply as possible with the fewest number of activities reflecting the project delay. Select the schedule to impact. The schedule should be the latest updated schedule for the project. Add the impact activities and make the necessary adjustments to the project schedule. Recompute the CPM and note a change in the project completion date. Determine the amount of project delay. Study and understand the scope of the directed change or analyze the extent of the delay. Analyze all contract documents, field directions, contract clauses, drawings, orders, specifications, and conditions that could exert any kind of influence on the expected delay. Identify and describe the condition encountered before performing the time impact analysis. Identify all related construction activities that are or could be affected by the expected delay. After a complete analysis of the construction schedule, determine all related dates — start, duration, and finish — for all affected activities. Prepare a complete set of documents that define when the delay started and what actions took place at that moment, and demonstrate the effects of the delay on the updated schedule and how the remaining activities should be altered, if required, to complete the project on time. Highlight extraordinary measures required to bring the project back on schedule. Check that actual delays are a result of the changed directives, not from a nonexcusable cause.